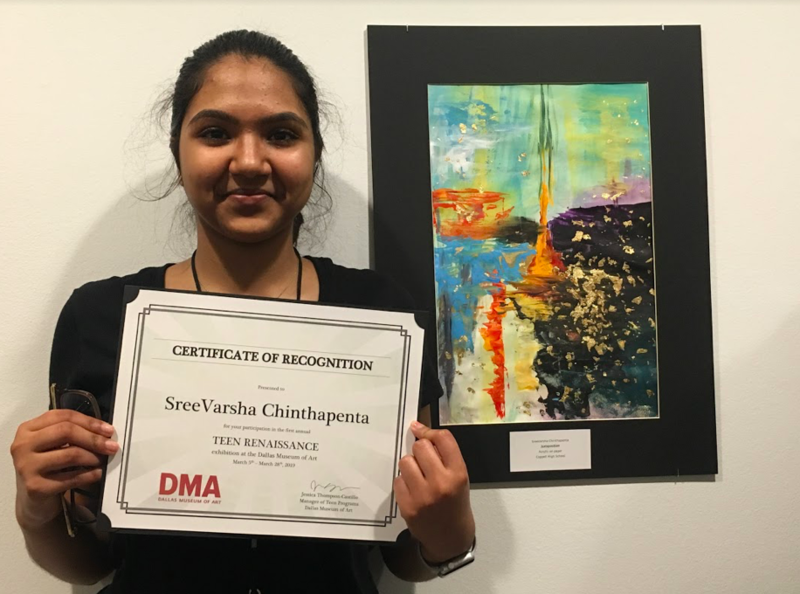 Coppell High School junior SreeVarsha Chinthapenta displays her certificate in front of her artwork at the Dallas Museum of Art on March 16. Chinthapenta was chosen to showcase her artwork, “Juxtaposition,” through a festival hosted by the Dallas Museum of Art. 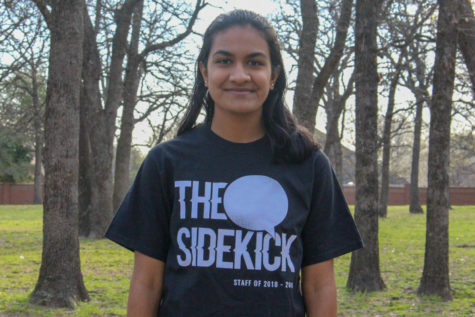 Light vs. dark, two sides to humanity: that became the focus of Coppell High School junior SreeVarsha Chinthapenta’s abstract painting, which is now on display at the Dallas Museum of Art. The painting, titled “Juxtaposition”, is an experimental, drawing that Chintapenta created at the beginning of the year. This is a change from her usual style of drawing, which is based around figures. Admissions for the exhibition were at the same time as some of the art program’s other competitions such as Visual Arts Scholastic Event (VASE). Amidst competition season, Chinthapenta submitted “Juxtaposition” to the Teen Renaissance Exhibition. As long as Chinthapenta can remember, she has been in and out of art classes both inside and outside of school. Her mother thought she was a good artist and put her into these classes. However, in sixth and seventh grade, when art became an elective, her interest in art blossomed. 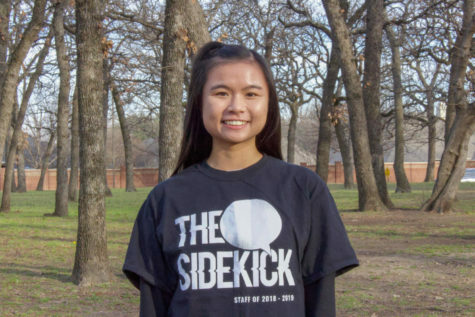 At CHS, Chinthapenta has taken art all three years, including AP Art History and AP Drawing with art teacher Michelle Hauske as her teacher for both classes. AP Art History became a turning point in Chinthapenta’s art career. Her favorite artist is high Renaissance artist Caravaggio, who was a criminal in the late 1500s and early 1600s. He used Christianity in a mythological way to showcase the lower-class side of Italy and invented an art technique – tenebrism. In the future, Chinthapenta is looking for a creative career, mixing business and design to perfectly fit her interests.